Suparna Gupta started Aangan in 2002, after a seven-year career in advertising agencies Ogilvy and Lowe. In Aangan’s early years, she drew on this communication experience while negotiating a space for Aangan to work with extremely resistant state-run systems of institutional care for children – government-funded rescue homes/shelters that house rescued, trafficked, abandoned and abused children. In 2009, Suparna extended the organisation's work to identify children in dangerous situations with a view to preventing occurrence and recurrence of serious child harm early and at the source - emphasising child marriage, child trafficking, hazardous work and abuse. Between 2014-to date, this integrated child harm prevention model has impacted 200,000 children in currently implemented in 88 locations in six states across the country. She has co-authored reports (Changing Spaces 2006, See You Again if I Survive 2007, A Real Opportunity for Change 2010), Bringing it Home: Building Resilience to Gender Based Violence through Community Protection Systems (2016) and led the development of training/empowerment tools for parent/caregivers, local officials and children. 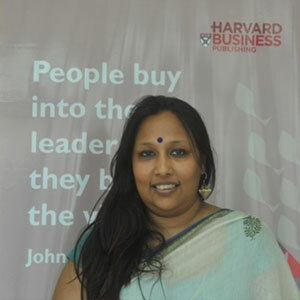 Suparna was awarded the Ashoka Fellowship (2009), Asia Society Young Leader (2010), Edward S Mason Fellowship at Harvard Kennedy School (2012). She was a finalist, Jubilant Bhartia Schwab Foundation India's Social Entrepreneur of the Year 2015, on CNBC TV 18's Young Business Women 2016 list of 20 women entrepreneurs pushing boundaries, and winner of the L'Oreal NDTV Women of Worth Award, Social Impact 2016.